Peyton's litter was a repeat mating of "Madra" and "Lucy" as I had a request to export a male puppy overseas. However, the best made plans often do not eventuate and the result was a litter of 4 girls! 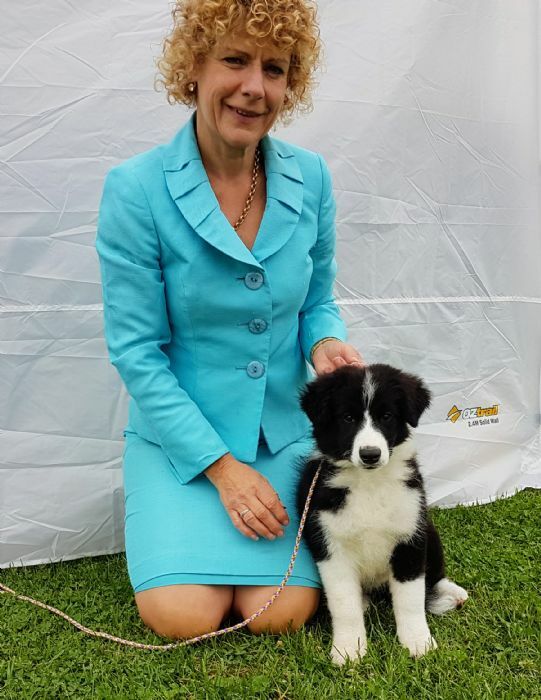 But the quality could not be overlooked and combined with Madra's success at the same time (Best of Breed from 65 Borders at the Adelaide Royal and then even more brag-worthy, a Best Exhibit in Group - Fourth at Royal Adelaide show 6 days later!!) one of these 4 little delights had to stay!. So the 4 girls all had to have a registered name that reflected their Dad's success and I didn't make a decision until the pups were 8 weeks old as they were all very nice. Peyton ended up the "Keeper" and I am very happy with her. Such a sweet little girl who endears herself to anyone she meets. 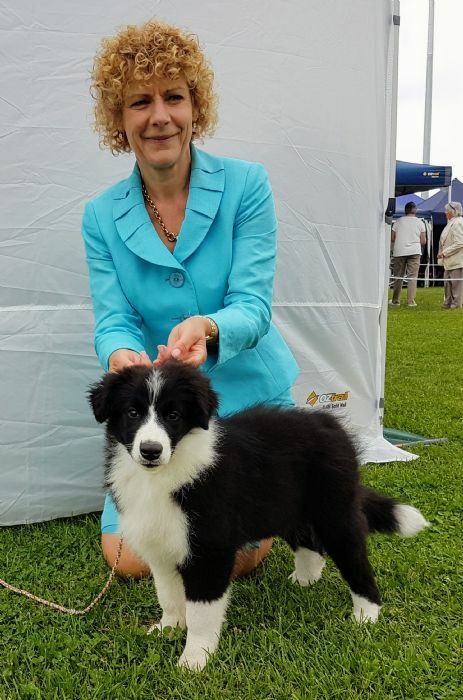 In her 5 shows to date, she has had some pleasing comments from the Judge and beat her kennelmate/s (male and female) who are 1 month older. 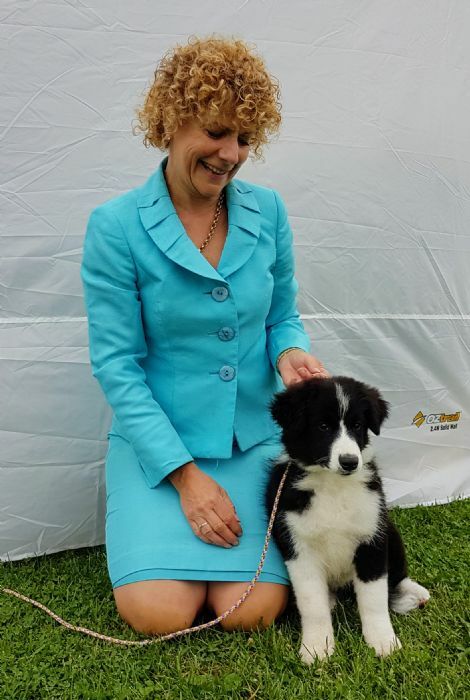 I look forward to campaigning this youngster who combines many of my old lines, that established "Steadfast" kennels. D: Sashdan Rising Spirit CCD E.T. D: Steadfast Hi Expectations S: aust Ch Steadfast Helluva Fella E.T.